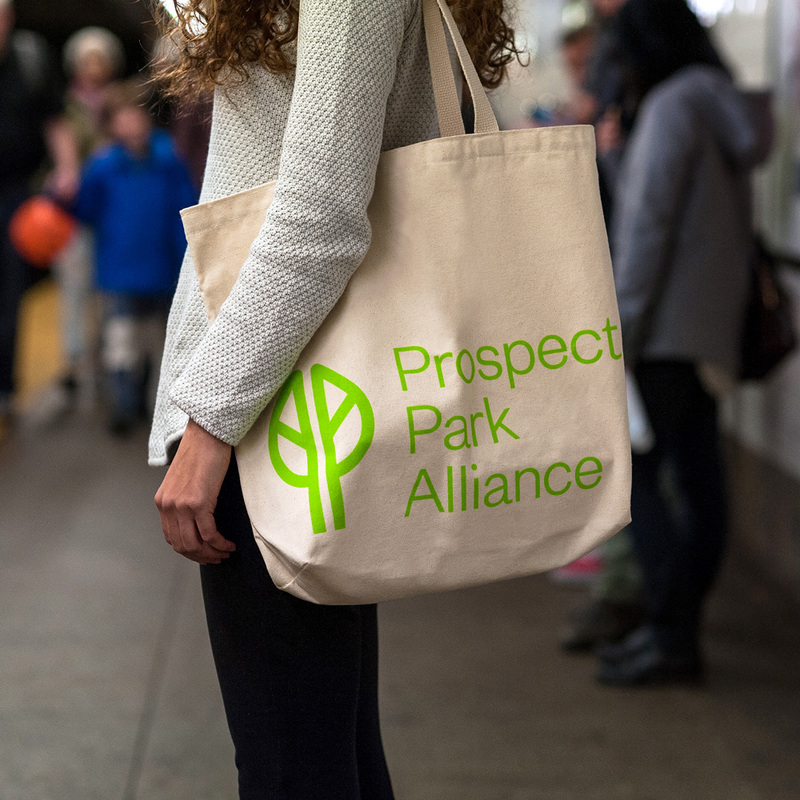 Established in 1987, the Prospect Park Alliance is a non-profit organization that partners with the City of New York, under the jurisdiction of the Department of Parks & Recreation, to preserve and maintain Prospect Park — literally and figuratively Brooklyn’s Central Park. Designed by the same duo, Frederick Law Olmsted and Calvert Vaux, Prospect Park is a magnificent 585-acre park with a lake, a zoo, baseball fields, playground, concert venue, an Audubon center, and miles of bike and running paths. Having lived three blocks from it, it’s one of the things I miss the most about Brooklyn. 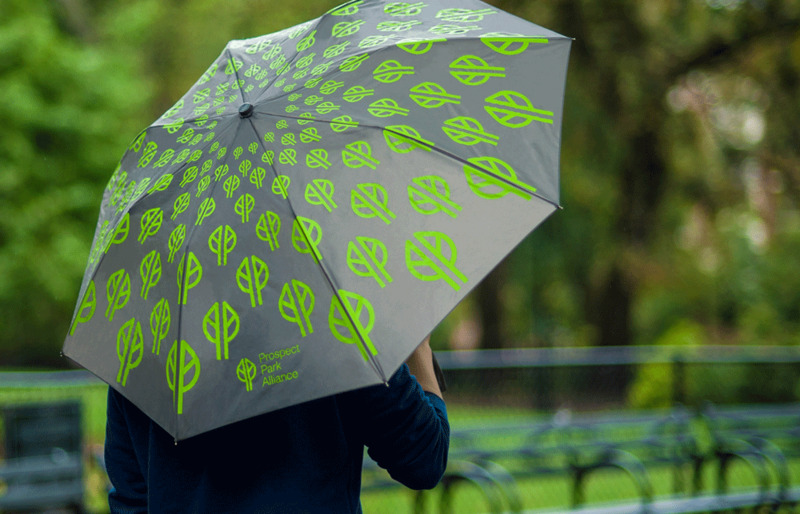 After helping bring the park back to life through restoration in the 1980s, the Prospect Park Alliance employs a third of the staff and oversees the day-to-day operation of Prospect Park. 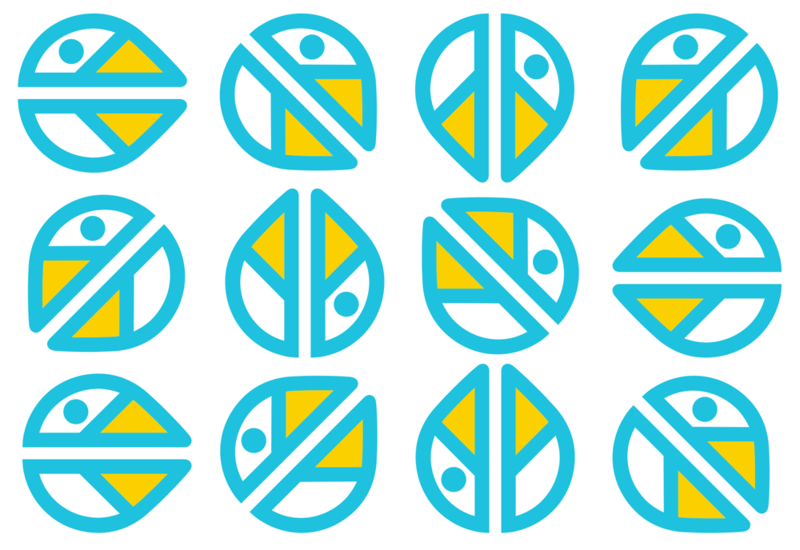 This past November the Alliance introduced a new logo and identity designed by New York, NY-based OCD | The Original Champions of Design. 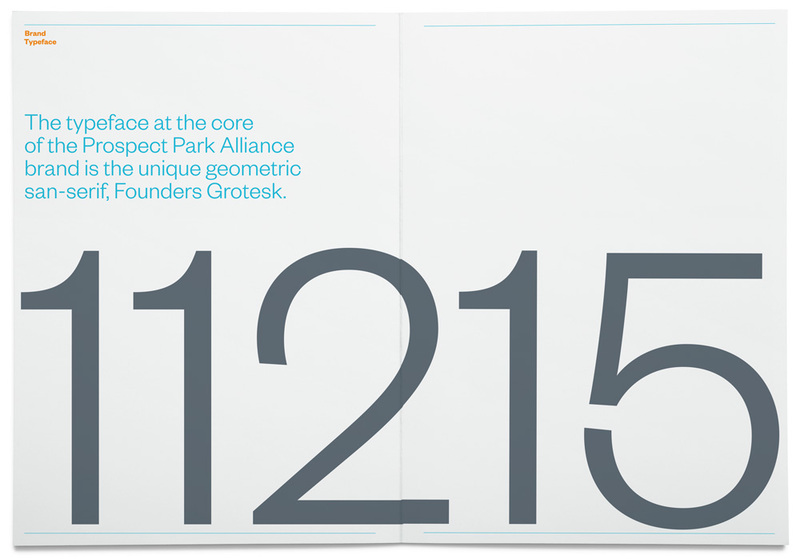 The Park logo designed by Chermayeff & Geismar in 2002, and later updated with the typeface Gotham by the internal design team, had accumulated valuable brand equity that would be lost by a total redesign. 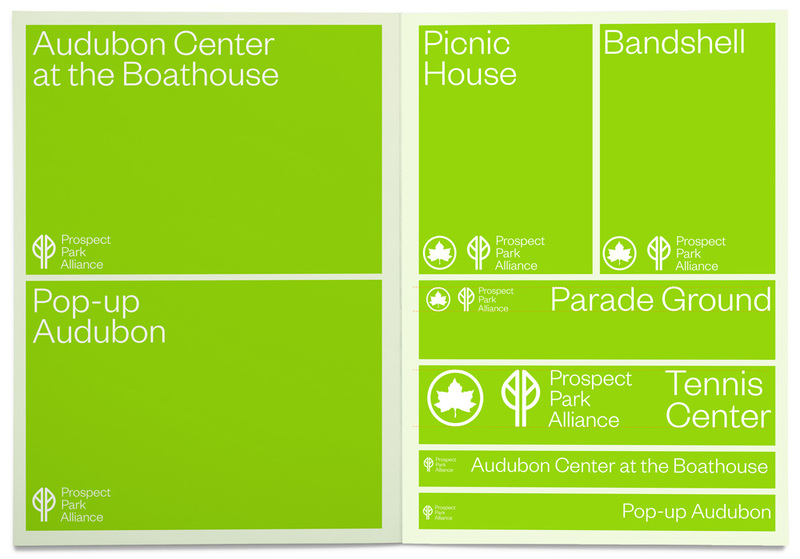 A simple refresh allowed the Park to leverage existing cues while updating color and proportion to make usage across multiple platforms more practical. This isn’t a dramatic redesign when it comes to the logo. 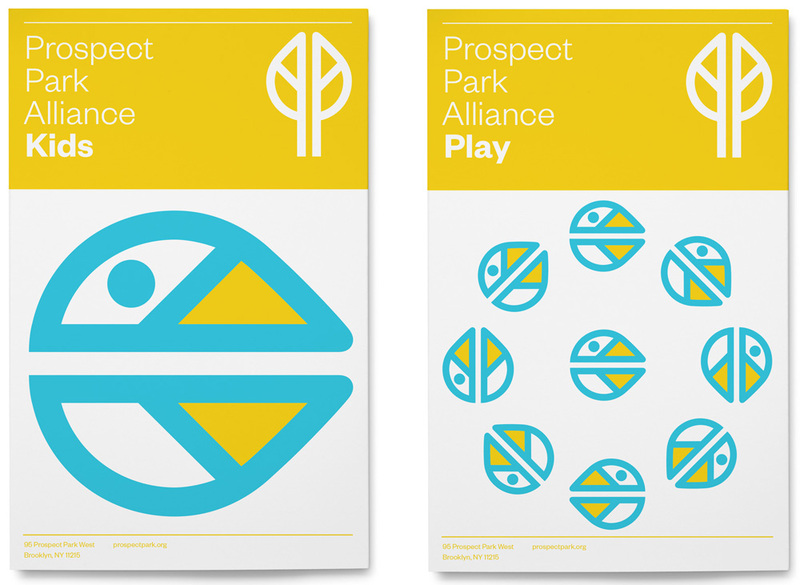 The basic premise for the icon is still there: a leaf (or could also be interpreted as a tree) made out of two “P”s (for Prospect Park). Both iterations are equally acceptable. I don’t think one is better or worse than the other, although the readability of the new one at small sizes is definitely an improvement. Where the new logo really wins is in the typography, going from a flat use of Gotham to a more unique choice of Klim Type Foudry’s Founders Grotesk that gives the logo a much more contemporary look. The type isn’t just an improvement for the logo but pretty much the backbone of the whole identity, as you will see later in the post. The sturdier tree icon and large typography look great on application and the pattern lends itself to some playful applications. 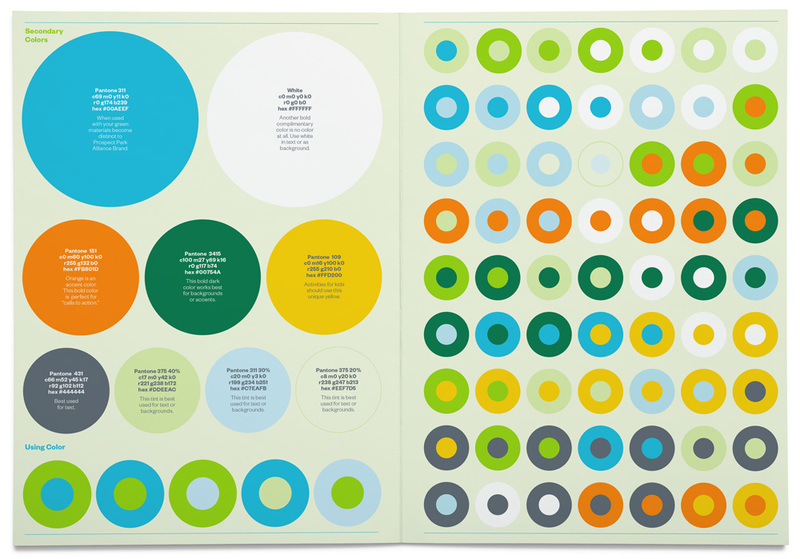 From the guidelines: Secondary colors. From the guidelines: Brand typeface. Back to the typography. 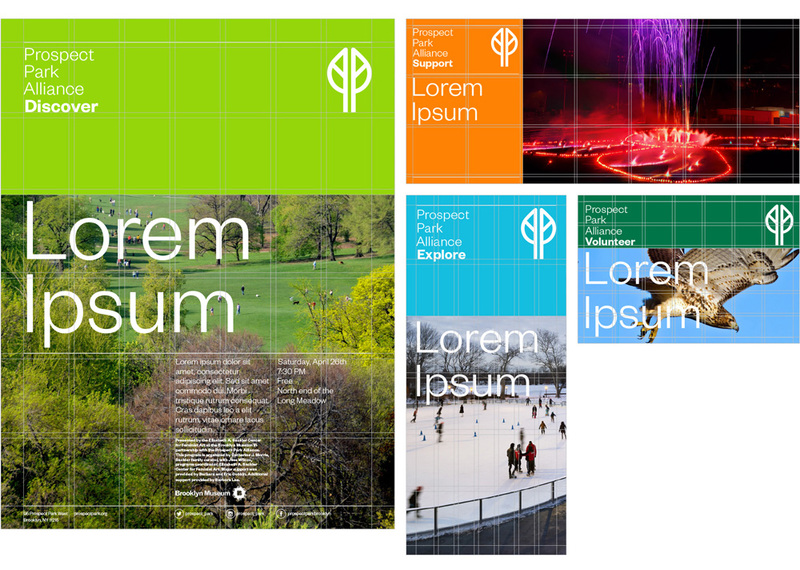 As you can see above, it’s everywhere and it looks really fantastic in its simplicity and straightforward approach. I also like the parallel of how Manhattan is drenched in Helvetica and here, Brooklyn, uses a cooler and more distinct version of the same kind of sans serif, continuing the battle for which borough is cooler. The map is hot. It’s so well done; crisp and clean. To seal the deal, the tree turns into a cute, slightly amorphous bird that is used as a kids’ and family-friendly identifier. Overall, this isn’t a visual fireworks kind of system but a solid set of basic design principles that has been well conceived to allow the Alliance to produce endless materials in a single, unified voice. 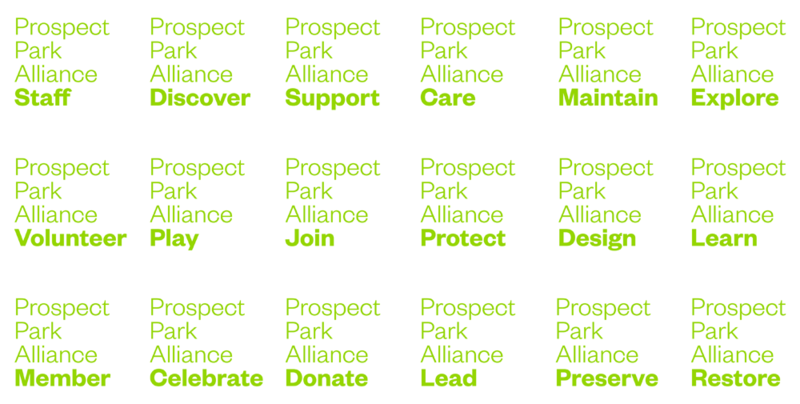 Established in 1987, the Prospect Park Alliance is a non-profit organization that partners with the City of New York, under the jurisdiction of the Department of Parks & Recreation, to preserve and maintain Prospect Park — literally and figuratively Brooklyn's Central Park. 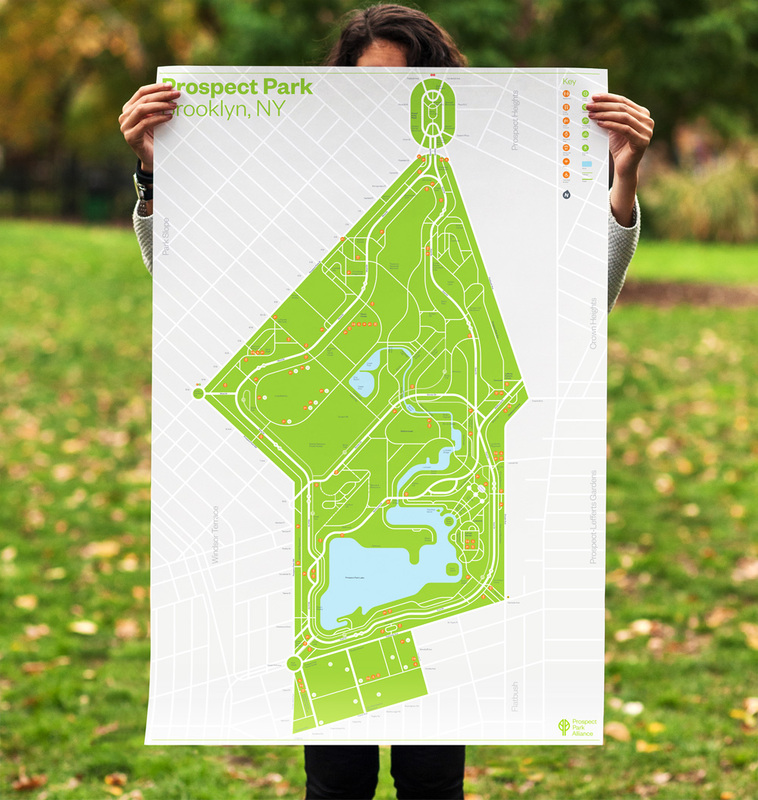 Designed by the same duo, Frederick Law Olmsted and Calvert Vaux, Prospect Park is a magnificent 585-acre park with a lake, a zoo, baseball fields, playground, concert venue, an Audubon center, and miles of bike and running paths. Having lived three blocks from it, it's one of the things I miss the most about Brooklyn. 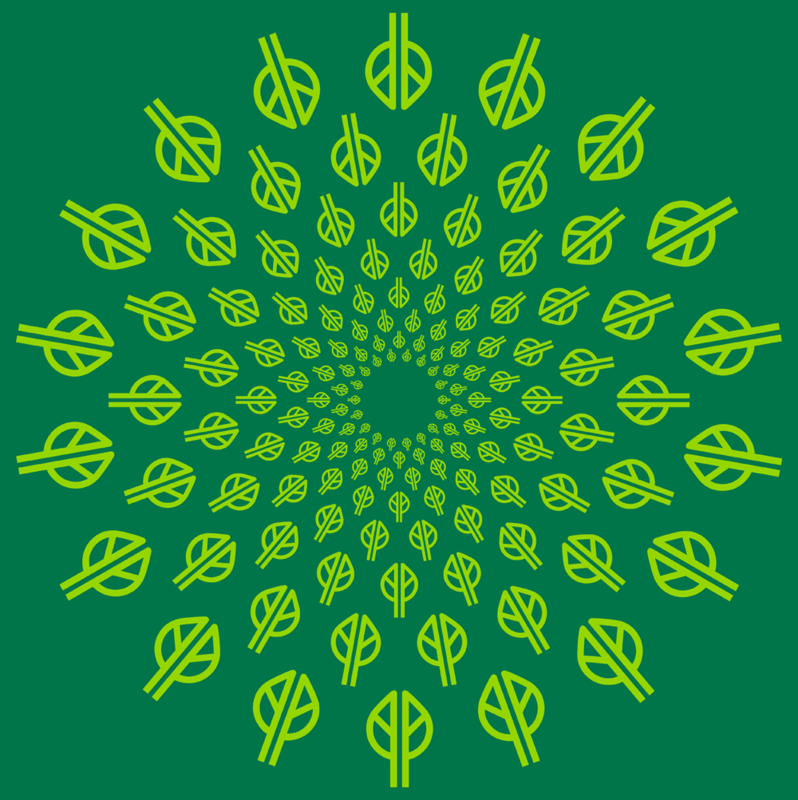 After helping bring the park back to life through restoration in the 1980s, the Prospect Park Alliance employs a third of the staff and oversees the day-to-day operation of Prospect Park. This past November the Alliance introduced a new logo and identity designed by New York, NY-based OCD | The Original Champions of Design.